If your home has drafty, single-pane aluminum windows, you’re probably spending too much on your home energy bill. Single-pane aluminum windows are notoriously inefficient. They make it tough to keep your home cool in the summer and warm in the winter. Even the double-pane windows in tract homes built in the 1980s and 1990s aren’t nearly as efficient as today’s offerings. In fact, if your home is more than 15 years old, it’s time for a change. Ditch those outdated windows and upgrade to the highly energy-efficient double-pane vinyl windows that are on the market now. With vinyl window installation, you can save money on your energy bill and increase the comfort and beauty of your home. Here’s how to get started. To prepare for vinyl window installation, you have to understand the lingo. Not all vinyl windows are created equal. Double-pane vinyl windows include two panes of glass (as the name implies), separated by a gap filled with an inert gas. Argon gas used most frequently because it improves insulation. You may also see double-pane vinyl windows filled with xenon or krypton gas. Be on the lookout for vinyl windows with the Energy Star label. These windows have been tested, certified, and verified by the National Fenestration Rating Council (NFRC). They also meet energy efficiency guidelines set by the Environmental Protection Agency. You’ll also see terms like U-factor and Solar Heat Gain Coefficient (SHGC). In both cases, lower numbers are preferable. Windows with lower U-factors are able to resist heat loss and provide better insulation for your home. The SHGC measures how much of the sun’s heat the window can block, and the rating ranges from 0 to 1. The lower the number, the better the window will be at blocking radiant heat. In Southern California, Energy Star recommends a minimum U-factor of 0.4 and a minimum SHGC of 0.25. Double-pane vinyl windows can do more than reduce your utility bill. They can muffle street noise to keep your home quieter. And they can change the whole look of your home. If you’ve ever wanted to add a dramatic bay window or increase indoor/outdoor living with sliding patio doors, now’s the time. Or, choose windows that fit your existing openings. Vinyl windows come in a wide range of styles. Make sure to plan your look prior to installation. RC Energy Solutions proudly works with the top brands in the business, including Amerimax, Anlin, and Milgard. These companies offer some of the most energy-efficient windows on the market. Many of the windows come in colors to complement your home’s exterior and interior. The brands we work with carry windows in as many as 10 different exterior colors and three different interior colors to complement your home’s style and décor. Plus, these brands offer the best warranties available. If your vinyl window installation isn’t handled properly, you could wind up with windows that don’t function at peak efficiency. And that would be a waste of money. Look for window installers who are factory-trained and certified by a reputable window brand. If you’re planning to do any remodeling in conjunction with your window replacement, be sure you’re working with a licensed contractor who can help you make the changes you want. One more excellent reason to work with a licensed contractor: Homes settle over the years. It’s highly likely that your window openings are no longer perfectly square. That means standard windows sizes won’t be a perfect fit. To get the tightest seal—and the most energy efficiency—you may need to order a larger or smaller window. Then, you’ll have to budget for some extra interior or exterior construction work to fit the window to the opening. A licensed contractor can handle all of these details. Another option is to order custom-made windows. They’re carefully measured within a fraction of an inch for the best possible fit and attached securely with 3.5-inch screws. Your vinyl window installation should also include sprayed-in insulation between the old frame and the new frame. The insulation will eliminate any air gaps for the tightest seal. Finally, interior flat trim will be added to your custom windows for a perfectly finished look. You can find a good installer by searching Angie’s List or Yelp for reviews. And don’t forget to check with the Better Business Bureau. A quick inquiry can reveal whether the company you’re planning to work with has a history of complaints.  We have an A+ rating from the BBB and we’re licensed contractors who handle a wide variety of energy-efficient home improvements. Because of our expertise in home energy efficiency, we can make recommendations that will help you get the most value out of your replacement windows. In fact, we start every project with an in-person consultation to help you make smart energy choices. Our factory-trained, certified window installers have the knowledge and experience to install your vinyl windows quickly, without a lot of mess or inconvenience. And finally, we have great ratings on Yelp and Angie’s List. If you’d like to learn more about vinyl window installation or are ready to get a quote, contact us—we’d love to hear from you.